Are you worried about your privacy when requesting freebies? Below you'll find the answers to what type of personal information you should and shouldn't give out to get freebies. If it's a freebie that's going to be mailed to you, you'll need to fill out your mailing address so it can get to you. Your mailing information includes your name, street address, city, state and zip code. There are many freebies that won't be sent to a P.O. Box mailing address so always use your street address when you can. Most freebies will ask for an email address. It's okay to give out an email address, but I recommend using a separate email account for freebies, so if you do happen to get spammed from a freebie, it won't end up all mixed up with your personal emails. Sometimes you'll have to enter a phone number so you can get a freebie. If you're sure that the freebie is valid, then you can go ahead and enter your phone number if you're comfortable with that. If you have any question over if this freebie is for real or not, then do not give out your phone number. You can use a fake number or just skip over the freebie altogether. If you're comfortable giving out your birthday or birth date for a freebie, then go ahead and do so. A company giving out a freebie may ask for your birth date or birthday for a couple of reasons. They may want to make sure you're old enough to be eligible to get the freebie, they might want to use the information for marketing purposes, or they may want to send you a birthday wish or birthday freebie. A lot of companies who give out freebies want to contact you in the future. Sometimes it's to check up on how you liked the freebie, but often it's just so they can pester you later. Often, you don't have to sign up for the newsletter to get the freebie. If you have the choice, don't sign up for it unless you're super interested in the company offering the freebie. It will help you avoid junk mail they may send to you. If you have to sign up for the newsletter, it's always a good idea to use an email address just for requesting freebies to keep all the junk in one place. Some freebies will ask a series of questions so they can gather information they can later use for marketing purposes. Usually, they're just curious what type of person is requesting their freebies. Types of questions include ones about your buying habits, family makeup, income and just about anything else. The surveys on freebie forms will either be set up where all questions are required, some of the questions are required or you don't need to answer any of the questions to get your freebie. Check for special characters (such as asterisks) that let you know what survey questions are required and only answer the minimum. This will help protect your privacy further as well as save you time. The bottom line when it comes to survey questions just answer what you're comfortable answering. If there's a required survey question that you don't want to answer then just forget about this freebie - I assure you there will be more! Never, ever, ever promise to pay for a freebie or provide your credit card information. Freebies are - you guessed it - free! 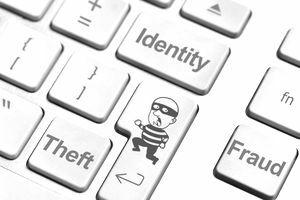 Any freebie offer that wants you to give payment information will steal your information, identity, credit card or any combination of the three. Stay very far away from these. A legitimate freebie will not ask for a social security number. Never give this out when requesting freebies!